Crystal Reed Online ||| Your biggest fansite for Crystal Reed >> News, Pictures and More. Welcome to Crystal Reed Online, your ultimate fansource for all things Crystal Reed. Here you will find the latest news, images, videos, and much more on Crystal. We are a bilinguistic fansite, which means you can find both italian and english news. Here it reigns only one rule: to love Crystal in a very passionate way. Make sure to follow us for all the new updates. We hope you enjoy the site and come back soon! Previous owner: Marzia & Jessica. Crystal Reed Online is an unofficial non-profit fansite dedicated to Crystal Reed in hopes to help promote her talent and career. This site has no official affiliation with Crystal Reed or her agents - it is run by fans for fans. The webmaster of this website claim no ownership to any material seen on this website and is used, to the best of their knowledge, under the "Fair Use" copyright laws. 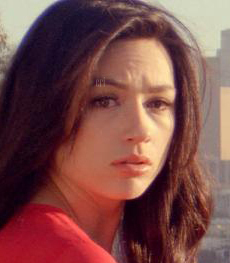 Do you love Crystal Reed?